Bar code verifiers can connect to a proprietary stand-alone printer. 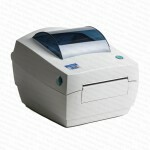 These printers allows for printing a standard report format (some systems allow for custom reports). These stand-alone reports and generally printed on a small width paper roll. 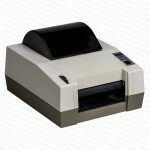 Commonly direct-thermal or dot-matrix.